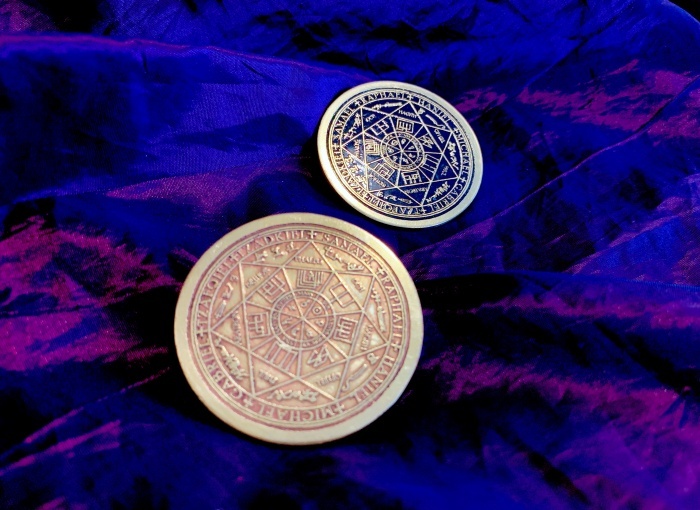 Hand Crafted 50mm Grand Pantacle of The Celestial Intelligences, in solid 1.5mm thickness Brass. Designed specifically for those students involved with Arbatel workings of the Celestial Intelligences, The TalisMan's Grand Pentacle of The Celestial Intelligences is a masterpiece of living, breathing Magick, woven into solid, gleaming brass by a True Master of his Art. When used, the Grand Pantacle is placed upon the Altar, with the relevant Olympic Spirit's Name and Seal uppermost; with this design, each and every one of the Celestial Spirits can be worked with either individually or jointly, for more complex working and ceremonies. 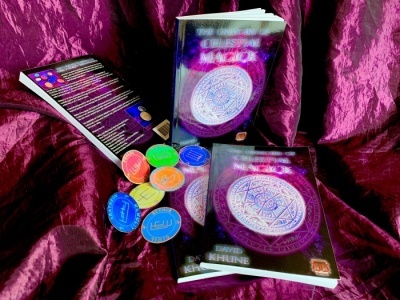 An accompanying book, containing a full system of Celestial Evocational Magick - THE GRIMOIRE OF CELESTIAL MAGICK, BY DAVID KHUNE, is also available to accompany this beautiful and powerful piece. You will simply not find better.